When George Vanderbilt began planning his grand estate in Asheville, North Carolina, his vision was twofold. First, he wanted to create a place where he could relax and entertain friends and family. Just as important, however, was his desire to preserve the surrounding beauty. He envisioned a self-sustaining home that would steward the land and its resources for years to come. From this vision came the nation’s first planned forestry program and the beginning of a family focus on the environment. Today, Biltmore continues to honor Vanderbilt’s legacy of preserving the land and protecting the environment. 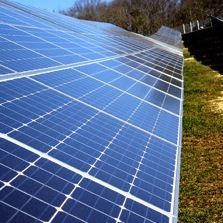 Our most recent project is a solar panel installation that offsets more than 20% of the estate’s energy needs. The 9-acre, 1.7-megawatt system features 7,000 solar panels and uses advanced technology to perform even on cloudy days. Biltmore’s Winery, meanwhile, has installed a cork-recycling program by partnering with TerraCycle, an organization that collects corks and other post-consumer materials and “upcycles” them into unique products. Corks are collected at key locations across the estate, including the Winery’s tasting room and estate restaurants. To encourage growth in threatened Monarch butterfly (Danaus plexippus) populations, our landscaping teams plant milkweed (Asclepias syriaca) in several locations across the estate. This provides vital habitat for the beautiful orange and black butterflies, which pass through the Appalachian Mountains on their yearly migration toward Mexico. Essential to the survival of the species, milkweed is the only plant on which females will lay eggs; the young caterpillars feed upon it during the early stages of their life cycle. Best management practices are employed in Biltmore’s agricultural and forestry operations to prevent silt and runoff into waterways, receiving the River Friendly Farmer Award from the Buncombe County Soil and Water Conservation Service for these efforts. Biltmore’s ecological sensitivity extends to the kitchen and plate, as well. Our Field to Table Program focuses on growing – and finding – the best, freshest foods for the estate’s restaurants. Fresh produce, hormone-free and antibiotic-free beef and lamb, eggs from free-range hens, and fine wines are supplied by the estate’s agricultural services, and the culinary teams incorporate this self-sustaining bounty into recipes. 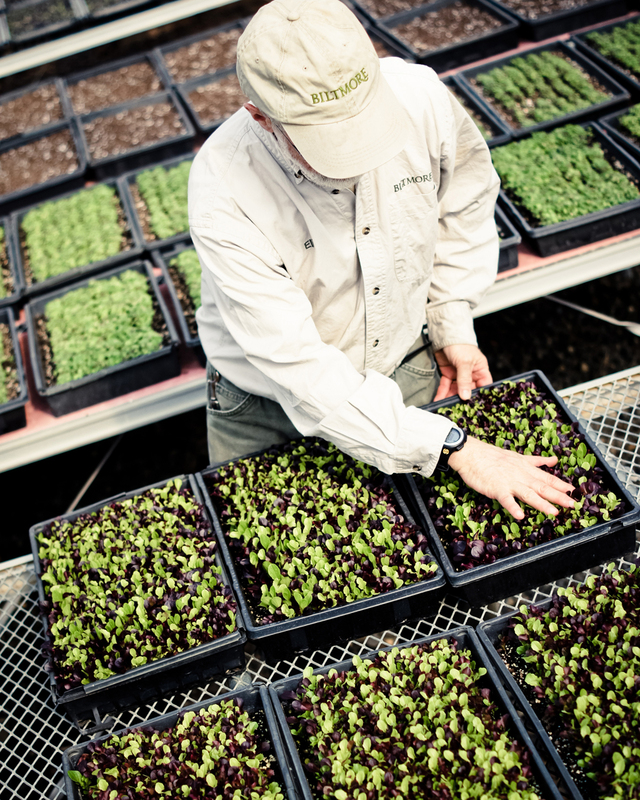 In addition to fresh, local sourcing, Biltmore takes pride in implementing dozens of responsible, bio-friendly programs and regulations to ensure the safest, wisest use of our foods. Among them: fryer oil is recycled locally into biodiesel, which is used in estate farming/horticulture operations. All of our restaurants compost food waste for agriculture. When sourcing ingredients, at least 10% of the food we purchase comes from local or North Carolina providers. Also, we produce eggs from free-range hens and meat from livestock raised antibiotic-free or growth-hormone-free. Biltmore was recently honored with the Triple Bottom Line Award from Sustainable North Carolina. This award is given to for-profit businesses that demonstrate the successful integration of all three aspects of sustainability – social, environmental, and economic. Current efforts related to our environmental focus include an internal corporate environmental and social footprint analyses, and employee green teams appointed to drive sustainability initiatives.